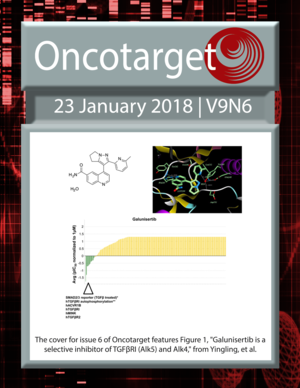 The cover for issue 6 of Oncotarget features Figure 1, "Galunisertib is a selective inhibitor of TGFβRI (Alk5) and Alk4," from Yingling, et al. 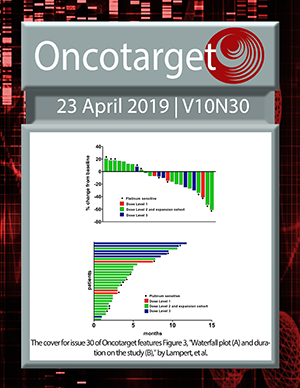 Siddesh V. Hartimath, Valeria Manuelli, Rolf Zijlma, Alberto Signore, Tapan K. Nayak, Anne Freimoser-Grundschober, Christian Klein, Rudi A.J.O. Dierckx, and Erik F.J.